Last weekend on the 24th and 25th of June, rowers from all over the world came to Amsterdam to compete in the biggest international regatta in The Netherlands. Now, two days later, we look back on a successful and highly competitive weekend of rowing. We would like to thank everyone who made this year’s Holland Beker such a great event: specifically the organising board, our sponsors and patrons, and all the volunteers who gave their time and effort to make this regatta happen. Last but not least, we would like to thank all athletes who came over to the Bosbaan to race. It is an honour to host rowers from all corners of the globe, including the world’s best, and have them competing against each other in the Netherlands. A special thank you goes out to everyone who came out to watch the races, or followed us online. Whether you came to support your favourite crew or just wanted to have a great time with the famous Holland Beker picknick, you made it a pleasure to organise this event! 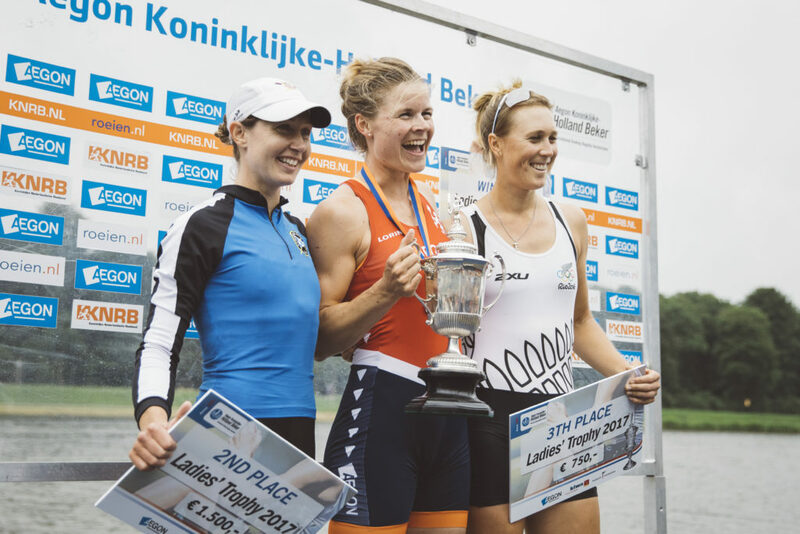 Finally, We would like to congratulate the winners of our main events, Ondřej Synek, who raised the Holland Beker for the fifth time in his rowing career, and Inge Janssen, who is the first Dutch winner of the Ladies’ Trophy since 1995. They both gave an amazing masterclass in elite rowing, and have proven to be the best in the single sculls this weekend. Next year, the Aegon Koninklijke – Holland Beker will be held on the 30th of June and the 1st of July. We hope to see everyone again next year!